KNOW WHAT YOU EAT – You can finally prepare the most delicious and healthy sandwich meat for your family effortlessly. TAKE YOUR SANDWICHES TO ANOTHER LEVEL – Why settle for toxin-filled meat when you can make your own homemade, healthy and mouth – watering sandwich meat using the ingredients you like. ELITE STAINLESS STEEL DESIGN – The MyKitchenGenius exclusive meat press is made of 100% food grade stainless steel and features a handy thermometer for maximum convenience. 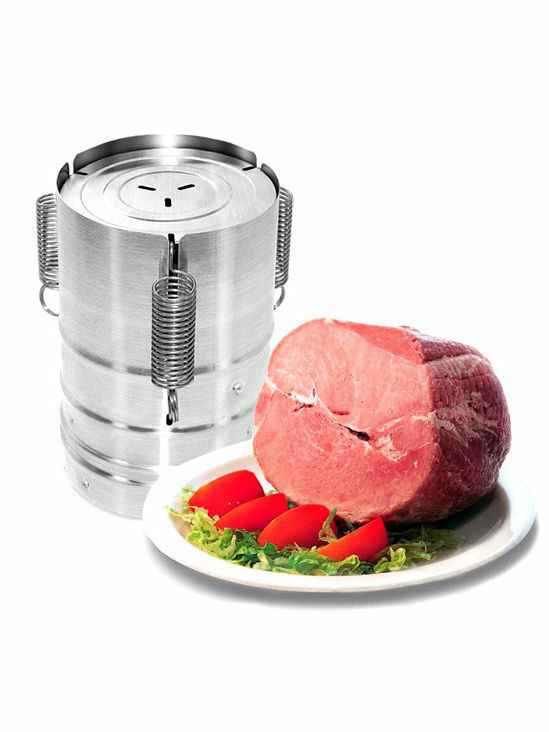 EASY TO USE HAM PRESS – You don’t have to be an expert to use our exclusive ham maker. All you have to do is follow the step-by-step detailed instructions. Instructions for use : 1. 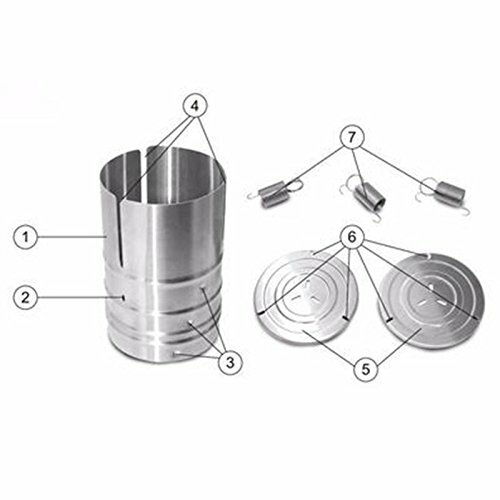 Before first use: Carefully remove the equipment and its accessories from the package, handle all packaging materials and promotional stickers, and boil all parts in salt solution for 3-5 minutes (1 teaspoon per liter of salt) to Eliminate factory lubricants. 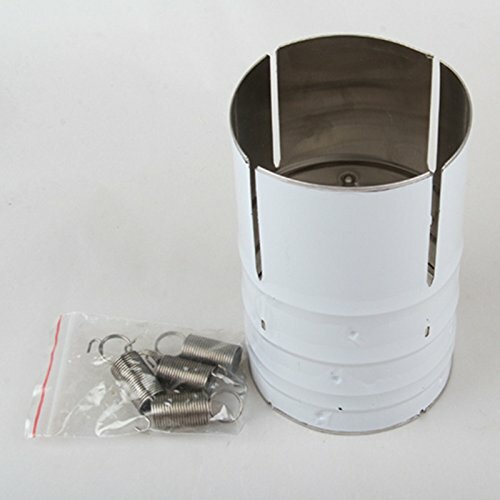 2, be careful when adjusting and stretching the spring, so as not to damage the package. 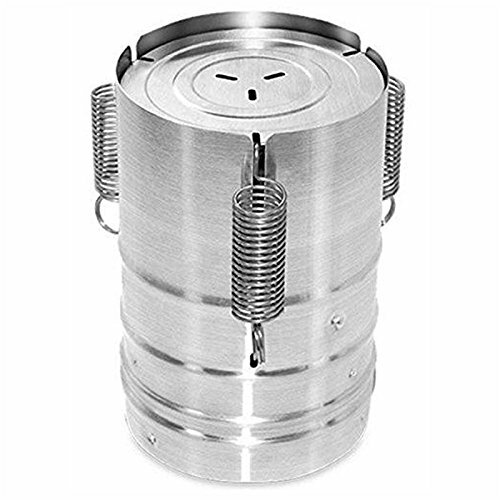 Use: The device can be used for pressure cooker, grill, the ability to work the oven or ordinary tableware cooking. Cooking bags are not included in the collection. Cleaning and Maintenance: Immediately after use, clean the housing and removable parts of the ham machine with warm water and mild dishwashing liquid (dishwasher safe). It is then wiped dry with a dry cloth and completely dried at room temperature. Thank you to the store, the delivery is very fast, until they tried to cook but i think everything will be fine. Seller met the product,. i recommend it.